7-way trailer connector molded to cold environment heavy duty blue silicon 7-way insulated cable (rated to -55 degrees Celsius/-67 degrees Fahrenheit). Made with self-cleaning contacts and molded to encapsulate terminals and wires to form one weather resistant, non-corrosive assembly. 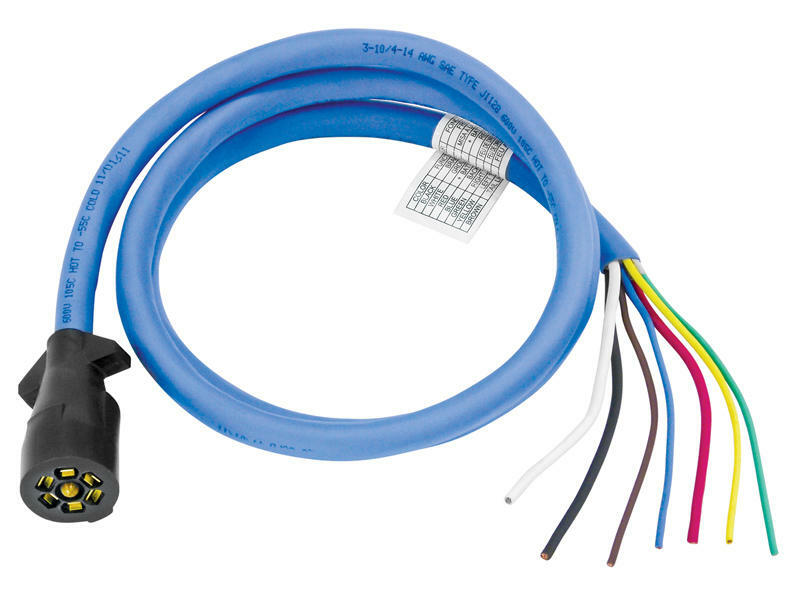 Primary wire gauges within the insulated cable are: Black-White-Red-10 gauge, Blue-Brown-Green-Yellow-14 gauge. Molded connector can be used with thermo-plastic or metal 7-way car end connectors.